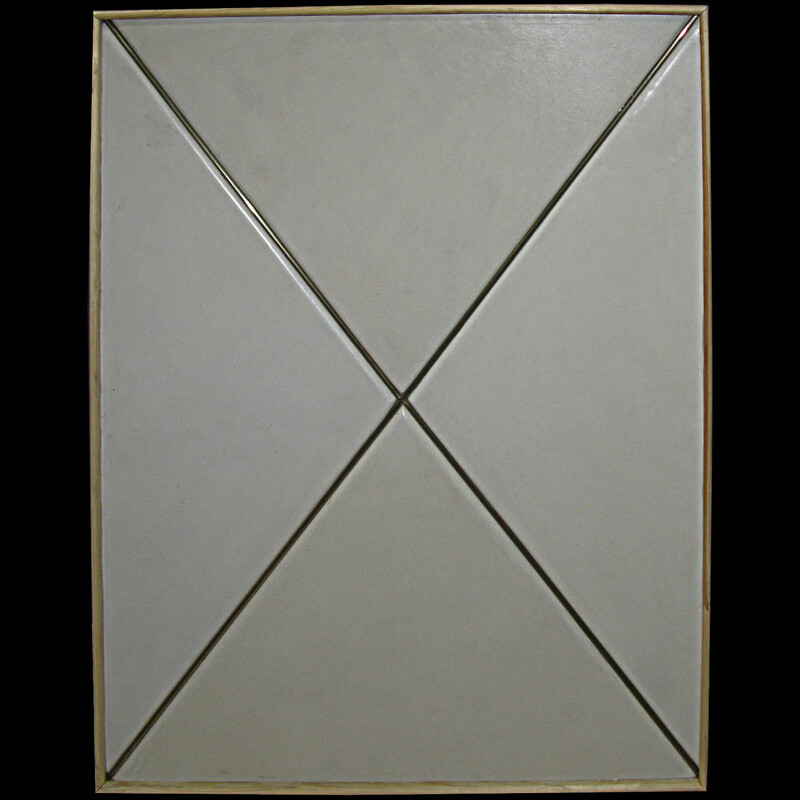 White leather door panel made up of four triangular panels seperated by brass beading in a brass frame. Embossed, gilded and painted leather panels were popular throughout Europe from the late Middle Ages to the 18th century. We make traditional and modern embossed leather wall tiles, as well as leather veneered furniture.